As a visibly disabled woman, I’m often made to feel during public outings that I am on display. Using a wheelchair makes me noticeable, turning me into a sight that – despite it being the 21st century – still causes far too many people to stare as though I’m an otherworldly museum piece. My body is not my own in the eyes of society, but rather an exhibit open to insensitive jokes about my disability and unsolicited comments about my appearance. I’ve spent my life shielding my self-confidence from the barrage of remarks, and yet there are times when even my thick skin begins to feel worn. Raw Beauty Project NYC is a project that set out to change all this, and I have the honor of being part of it. I first discovered a call for prospective models on Twitter, inviting women with disabilities who are advocates and leaders to apply for the opportunity to be photographed for an exhibit showcasing their “raw beauty.” I was intrigued, but something caused me to hesitate: was I willing to go outside my comfort zone and purposely put myself on display when I’d already felt exposed for so long? How lucky I am that I took a risk and applied, because being chosen to model proved to be an experience I’ll carry with me always. When it came time to pick a place for my photo shoot, I knew I wanted to be in a bright, beautiful, open space. Having recently fallen in love with the Highline, an above ground railroad track-turned-park in the city, I thought that would be the perfect place. However, in my excitement, I forgot just how immensely crowded the Highline becomes when the weather is nice. I had to pose for pictures in front of hundreds of strangers, calling even more attention to myself than my wheelchair usually does. This was awkward for me, as I began the shoot feeling self-conscious and not pretty enough to be the subject. Who am I, I wondered, to literally stop traffic and hold up park visitors so someone could take pictures of me? Of course, coming into the project with this sort of insecure attitude is exactly what made participating so transformative. After tons of shots that didn’t feel quite right, I eased into it. I owe much of this disappearing discomfort to Carey Wagner, the incredibly talented and accomplished photographer that was paired with me. In front of her lens, I was no longer a spectacle just because of my wheelchair. Instead, I was someone worthy of being photographed. And for once, I could tell that passersby were looking, really looking, at me, and not just at the set of wheels I sit in. My self-esteem got a much-needed boost during the photo shoot, but the ultimate feeling of pride came on the day my picture went up on display at ACA Galleries alongside photos of eighteen other breathtakingly beautiful female role models with disabilities. In a moment unlike anything I’ve ever experienced, I entered the gallery room and came face-to-face with myself directly across from the doorway on a strikingly vivid canvas. I was on display in a whole new way, surrounded by people who share my passion for activism and my desire to change perceptions of disability. Instead of being stopped by people making negative remarks about my disability, I was being stopped by people genuinely complimenting me. It was surreal because this isn’t something that usually happens to me, but it shouldn’t have to be that way. This kind of genuine acceptance of all bodies needs to become the norm. It is a feeling every woman, regardless of ability, deserves to experience. This sense of empowerment that I gained from the event is so much bigger than me, and so much bigger than all of the amazing women who took part. It is the beginning of what I believe will become a movement to positively influence body image of women around the globe, working towards eliminating stereotypes of bodies not usually seen on television and in magazines. Mainstream media outlets perpetuating the idea that beauty and disability are mutually exclusive need look no further than the pictures of the women who were part of Raw Beauty NYC to realize that pure, raw beauty is truly all around. To see behind-the-scenes of Raw Beauty NYC, click here. 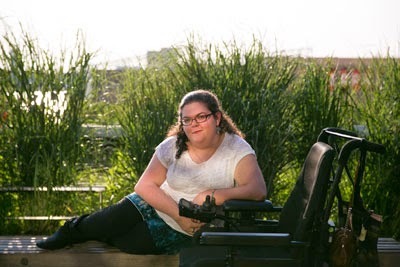 Emily Ladau is a passionate disability rights advocate whose career began at the age of 10, when she appeared on several episodes of Sesame Street to educate children about her life with a physical disability. In the years following her time with Big Bird and Elmo, Emily has become an emerging leader in the advocacy field. 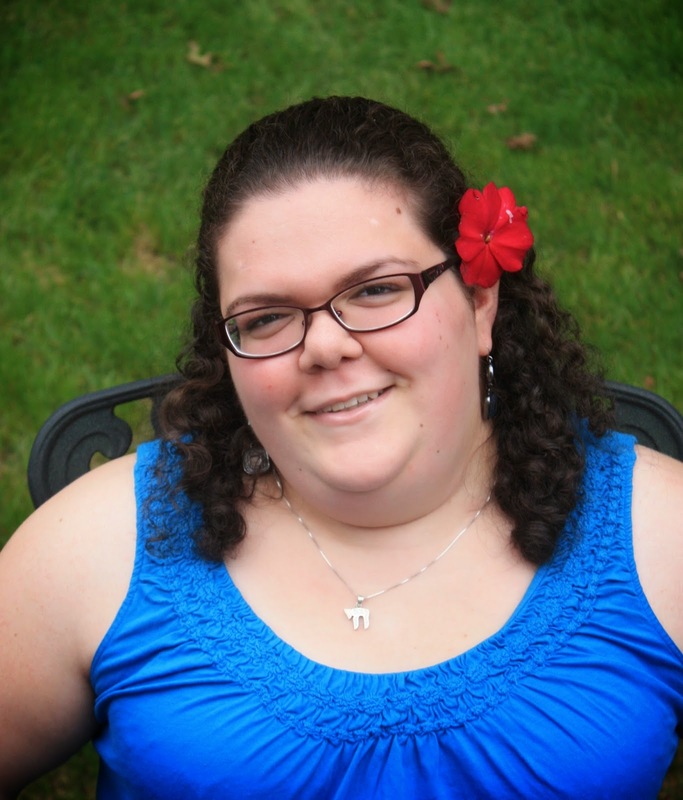 Emily maintains a blog, "Words I Wheel By", as a platform to address discrimination and to encourage people who do not identify as disabled to understand the experience of having a disability in more positive, accepting, and supportive ways. As she continues to build her career, her goal is to harness the powers of communication and social media as tools for people with all types of disabilities to develop their inner voice for advocacy. Connect with Emily via the Words I Wheel By page on Facebook and follow her on Twitter @emily_ladau. I totally connect with what you have written. People speak to my husband and ignore me. I say "Hello, I'm down here!" Supermarkets are the worst I find.